My desire is to delight your heart and bring a smile to your face. I grew up in the Midwest and enjoyed drawing and art class throughout my school years. After a move to the New York City area, I ignored my art until relocating to Colorado. There I discovered rock painting. I am fascinated and delighted when I discover the unexpected in a piece of art. 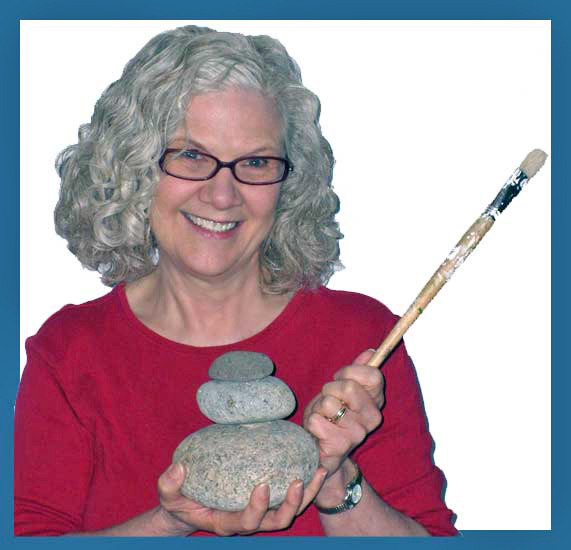 Rock painting enables me to create one-of-a-kind, endearing artwork from an unexpected material found all around me in southeastern Colorado - rocks and stones. My eye is drawn to rocks of all shapes, sizes and textures and I see their potential to come alive with acrylic paint. 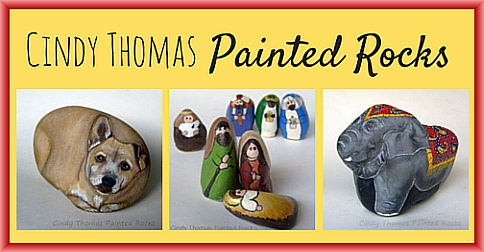 My specialty is painted rock nativity sets but I also paint whimsical critters and decor. As a believer in simple, natural, economical living, I’m recycling an ordinary item into something extraordinary. Each application of paint brings the rock to life with a one-of-a-kind appearance that becomes a unique conversation piece. You can see my gallery of charming, painted rocks on Flickr.